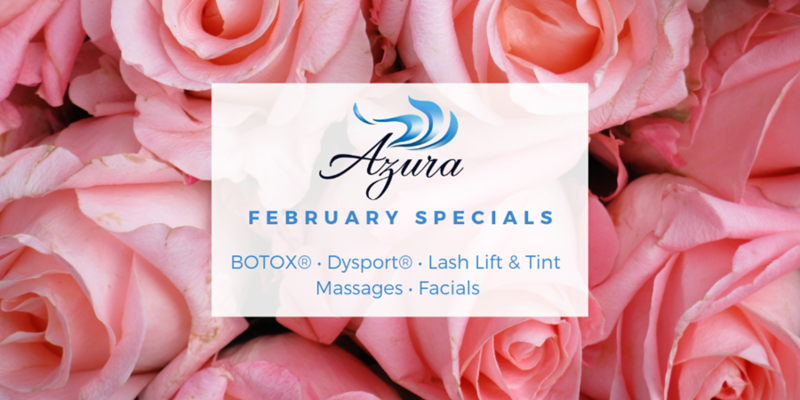 It’s the month of love and whether you are looking for a gift for yourself or someone else, we have great specials for you to enjoy on BOTOX®, Dysport®, facials, massages, lash lifts, and more. Who’s needs a Valentine when you have BOTOX®? 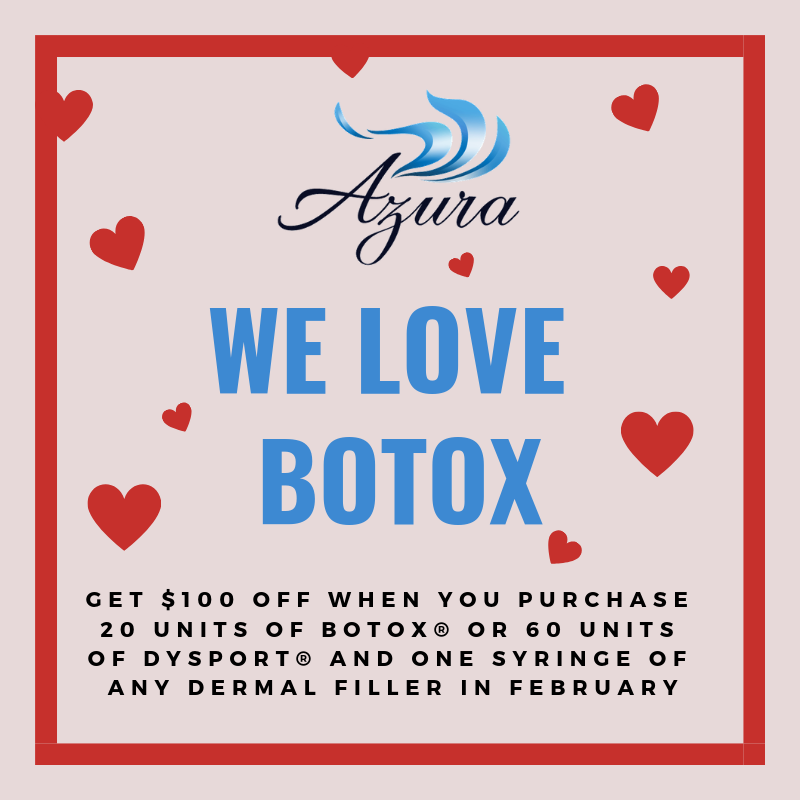 In February, get $100 off when you purchase 20 units of BOTOX® or 60 units of Dysport® AND one syringe of any dermal filler. Botox/Dysport and filler must be used on the same day. What’s Better Than Chocolate and Strawberries? 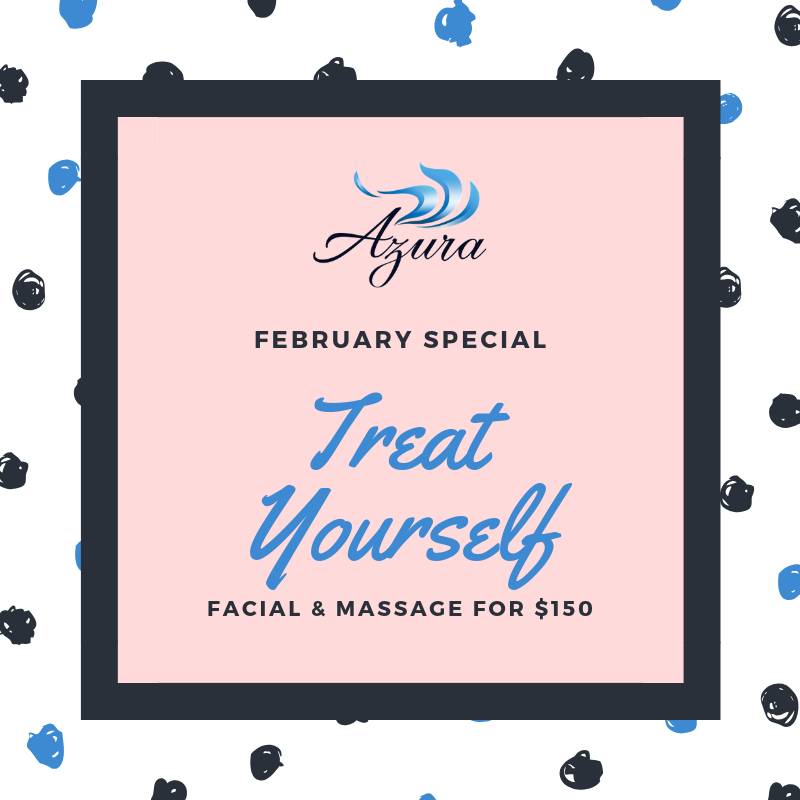 Treat yourself or your Valentine to a massage and a facial! Schedule a 60-minute massage and a Signature Facial for just $150, normally $190. 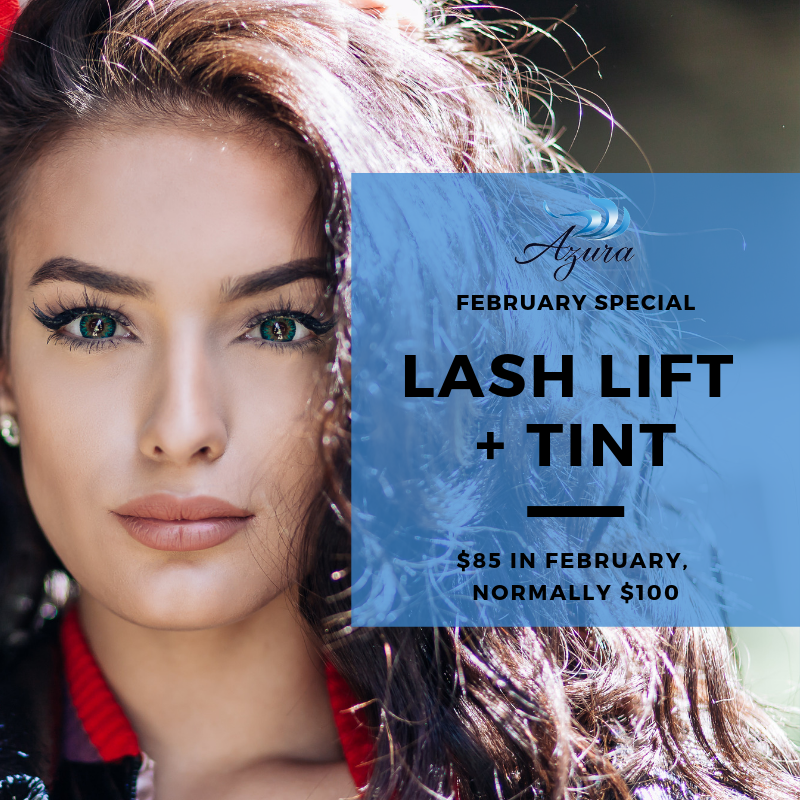 Get your lashes ready for Valentine’s Day with a lash lift and tint for just $85, normally $100. Use our Firming Retinol Body Lotion on any body part you feel needs a bit of firming and smoothing from your elbows, thighs, above your knees or anything in between. This product is packed with powerful retinol, antioxidants, hyaluronic acid, and ceramides to give you back the firmness you desire. Enjoy 20% off our Firming Retinol Body Lotion in February! 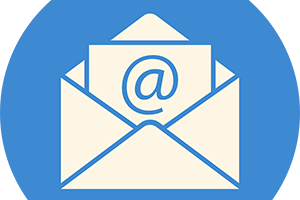 Great Gift Reminder: Azura Gift Cards Available! 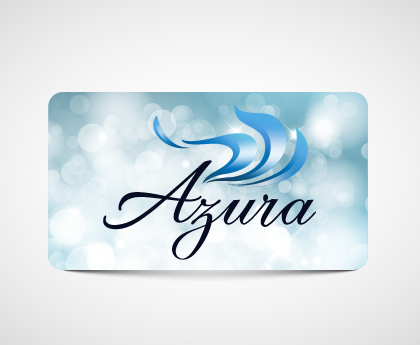 Purchasing a gift card of any value from Azura will make your sweetie remember why they fell in love with you in the first place. You gift them the opportunity to splurge, they get to pick the services.